Hong Kong, September 01, 2015 -- Moody's Investors Service has downgraded the corporate family and senior unsecured bond ratings of Mongolian Mining Corporation (MMC) to Ca from Caa2. "The downgrade reflects the risk of high probability of default by MMC as its cash holdings and operating cash flow are inadequate to address its near-term payment obligations", says Dylan Yeo, Moody's lead analyst for MMC. MMC's cash balance drastically declined to $70 million at end-June 2015 from $253 million at end-December 2014. The prolonged oversupply situation in the coking coal market has caused coking coal prices to slide significantly during 2015. At end-August, the Queensland benchmark coking coal price fell to $83 per tonne from more than $110 per tonne at the start of 2015. MMC has little scope to reduce its cost base after implementing various cost cuts over the last 18 months and reducing its production to a contractually required minimum. As a result the company reported an operating loss before tax of $86 million in 1H 2015. It does not have positive cash flow to service its debt payments under the current weak coal price environment. At the same time MMC has limited ability to raise alternative liquidity. The company tapped the equity market for a rights issuance in 2014 and divested most of its non-core assets in the last few years. It has $43 million of receivables from the Government of Mongolia (B2 negative) with respect to the termination of a concession agreement on railway infrastructure in 2012. Receipt of these funds is still under negotiation with the government. Moody's estimates that the company's internal cash resources will be inadequate to meet payment obligations which include (1) interest payments of $32 million in the next six months; and (2) loan amortization of $30 million in the next six months. In addition, $69 million of promissory notes due to shareholders is coming due in September 2015. Moody's, however, noted that the shareholders had historically extended the maturity of the promissory notes. "The downgrade also reflects the lower expected recovery to the senior unsecured bond holders," says Yeo. MMC's cash holdings declined by $183 million in 1H 2015, and its total debt declined by $59 million. In addition, the operating loss in 1H 2015 eroded the company's equity by $100 million. This financial deterioration has reduced the likely recovery for the senior unsecured bond holders. The negative ratings outlook reflects uncertainty over MMC's liquidity position and the high likelihood that it will default on bond repayments if accelerated. Such a default would result in losses for bond holders. Given the negative outlook, there is a low probability of an upgrade in the near term. Further downgrade pressure could emerge if the company cannot meet its payment obligations, undergoes a distressed debt exchange, or the deterioration in the recovery level for its rated offshore senior unsecured notes exceeds Moody's expectations. Mongolian Mining Corporation (MMC) is the largest privately owned coal mining company in Mongolia. Established in 2005, it listed on the Hong Kong Stock Exchange in October 2010. It has two coal mines located in the Gobi Desert. The Ukhaa Khudag mine, which produced 4.6 million tonnes of coking coal in 2014, and the Baruu Naran mine, which was acquired in 2011. · MMC faces substantial interest and debt maturities over the next six months. · We expect the company's cash balance to continue depleting because of the debt maturities, barring tangible progress on its bid for a part of the coal-rich Tavan Tolgoi deposit in Mongolia. · We are lowering our long-term corporate credit rating and issue rating on the Mongolia-based coal producer to 'CCC' from 'CCC+'. · The negative outlook reflects the growing refinancing risk and a depletion of MMC's cash within the next six months, unless it makes progress on the Tavan Tolgoi transaction. SINGAPORE (Standard & Poor's) Sept. 2, 2015--Standard & Poor's Ratings Services today lowered its long-term corporate credit rating and issue rating on the company's senior unsecured notes on Mongolian Mining Corp. (MMC) to 'CCC' from 'CCC+'. The outlook is negative. We lowered the ratings to reflect our expectation that the company's cash balance will continue to deplete over the next six months because of sizable interest and debt maturities. We believe MMC's cash balance will likely be insufficient to repay maturing debt and interest payments in the first half of 2016, barring substantial progress on the company's bid for the development of the West and East Tsankhi blocks of the Tavan Tolgoi coalfield. MMC faces about US$180 million in interest and debt repayments between Sept. 1, 2015, and April 30, 2016. That compares with a current cash balance that we estimate at about US$70 million as of Aug. 31, 2015. "MMC is seeking additional liquidity sources through a potential offtake agreement, refunds on payables from the government, and further inventory management," said Standard & Poor's credit analyst Xavier Jean. "Although those measures would slow cash depletion, we expect its cash balance to substantially reduce over the next six months." MMC is part of a consortium that has submitted a bid to operate certain blocks of the coal-rich Tavan Tolgoi deposit in Mongolia. There have been several delays in closing this transaction. The bid's terms and conditions, particularly the investment agreement between the consortium and the government of Mongolia, as well as the role of each consortium member, including China-based coal producer China Shenhua Energy Co. Ltd., still need to be finalized. "We view the bid as instrumental to the long-term viability of MMC's business risk profile. In our view, a successful bid could markedly improve the company's cost position and profitability even in the current weak pricing environment. It will also likely reduce cash outflows, because of the blocks' lower stripping ratios, and facilitate MMC's refinancing requirements," Mr. Jean said. We expect MMC to play an important part in this transaction, given its existing asset base and record of operation in neighboring coal seams. But while substantial progress on the bid could still take place over the next two to three months, we believe the company will reconsider its options regarding its capital structure if no tangible progress on the bid has occurred by the end of 2015. We believe MMC's obligations are currently vulnerable to nonpayment. Therefore, we determined the company's stand-alone credit profile using our "Criteria For Assigning 'CCC+', 'CCC', 'CCC-', And 'CC' Ratings," published Oct. 1, 2012, on RatingsDirect. The negative outlook reflects the growing refinancing risk and a depletion of MMC's cash within the next six to nine months, barring tangible progress on the Tavan Tolgoi transaction. We may lower the rating if there are signs that the transaction with Tavan Tolgoi would be further delayed or we have reduced confidence that MMC's partners in the venture would remain committed, given MMC's reducing liquidity buffer and sizable debt maturities in 2016. We may revise the outlook to stable or raise the rating if there are tangible signs that the Tavan Tolgoi transaction will proceed before the end of the year. This would require an increased confidence around an imminent signing of the investment agreement with the government of Mongolia and a continued commitment by MMC's partners in the transaction. We believe the transaction could improve the sustainability of the company's business risk profile, its cost structure, cash flow generation and facilitate the refinancing of its short-term debt maturities. A revision of the outlook to stable would also be contingent upon refinancing risk having reduced. September 2 (Financial Post) The relationship between Rio Tinto Ltd. and Turquoise Hill Resources Ltd. is complicated, to say the least. Turquoise Hill controls the giant Oyu Tolgoi copper-gold project in Mongolia, and Rio Tinto controls more than half of Turquoise Hill's shares. Rio wants to own more of Oyu Tolgoi, and it will almost certainly buy 100 per cent of Turquoise Hill one day. The question is: when? CIBC World Markets analyst Tom Meyer thinks it will be sooner rather than later. He expects the mining giant to pay a premium for the Turquoise Hill shares it doesn't own in the next 12 to 18 months, or once the key risks from the project are removed. Those risks include financing, a cost update on Oyu Tolgoi's underground development, and next year's Mongolian election. Rio Tinto has done a good job of operating Oyu Tolgoi, but Meyer does not necessarily think Turquoise Hill's minority shareholders should view it as an ally. He noted that Rio has every incentive to maximize operating performance, but no incentive to "promote" the true value of the asset. The lower the stock price for Vancouver-based Turquoise Hill, the less Rio has to pay to buy it out. "It is worth remembering that Rio Tinto is driving the bus," Meyer said in a note. "Minority (Turquoise Hill) shareholders can ride the coattails and benefit too, but maybe not as much had there been no other competing investment agendas." Meyer visited Oyu Tolgoi last week and came away very impressed with the project. Given the importance of the mine to Mongolia, he said he no longer views the political risk, one of his longstanding concerns, as above average. However, he maintained a sector underperformer rating on the stock and a price target of $4 a share. This is a relative valuation call. He thinks the shares are a bargain in the long term, but that higher-cost, higher-leveraged copper plays such as First Quantum Minerals Ltd. and HudBay Minerals Inc. offer more upside if commodity prices go up in the short term. "Some companies do better than others depending on the commodity price path," Meyer said. "Year to date, (Turquoise Hill) has been a winner in a relative sense as so much of its value is truly long-dated and in theory, not subject to current price volatility." September 2 (Bloomberg TV Mongolia via gogo.mn) Long term government bonds which were at highest in May 2015 on international markets are on decline as of August. The rates were comparatively stable during June and the decline started by July reaching almost 7 percent. 10 year bonds to mature in 2022 have seen a decline very close to its historic lows in August. By the end of August the rates has been highly volatile and the trend is on rise. The rates of government bond to mature in 2018 has seen a decline of 5 percent, while last week the trends have taken direction up and the rates have increased by around 2 percent. The rates of the government bonds being traded on the international market reflect the investor interest and attitude towards the country. The economic slowdown and decline in the incoming investments into Mongolian market is being reflected on the Chinggis Bond rates on intermational markets. This trend of 2015 is not only evident in Mongolia, but affects other emerging markets with reliance on mineral resources as well. The ease of the yuan rates by the Chinese Central Bank has affected in volatility of other currencies on international market. Moreover the decline has been seen on commodities market and capital markets during the month of August. September 2, Xanadu Mines Ltd. (ASX:XAM) -- The Company has received notice from Khan Mongolian Equity Fund (KMEF), a shareholder with a 4.63% interest in the Company, that it has exited from the Asia Capital and Advisers Pte Ltd (ACA) Associated Group. The ACA Associated Group previously held a 33.63% interest in the Company. The ACA Associated Group now consists of CAAF Ltd (CAAF) and Copper Success Limited (CSL) each with a 13.61% equity holding in the Company (aggregate interest of 27.21%). The Company is pleased to announce that following the approval by the Shareholders of the Company at the EGM held on 17 July 2015 and fulfilment or waiver of other conditions precedents as set out in the Sale and Purchase Agreement, completion of the Disposal took place on 2 September 2015. September 2, Winsway Enterprises Holdings Limited (HKEx:1733) -- Reference is made to the announcements of Winsway Enterprises Holdings Limited (the ''Company'') dated 19 November 2014, 2 December 2014, 8 December 2014, 1 January 2015, 9 April 2015, 15 April 2015, 13 May 2015, 29 May 2015, 30 June 2015 and 21 July 2015 in relation to, among other things, the major transaction in connection with the disposal of 42.74% interest in Grande Cache Coal Corporation and Grande Cache Coal LP (the ''Announcements'') and the circular dated 30 June 2015 (the ''Circular''). Capitalised terms used in this announcement shall bear the same meanings as those defined in the Announcements and Circular unless the context requires otherwise. On 14 November 2014, the Seller, the Purchaser and Purchaser Guarantor entered into the Sale and Purchase Agreement pursuant to which the Purchaser has conditionally agreed to acquire and the Seller has conditionally agreed to sell the Sale Interests in accordance with the terms and conditions of the Sale and Purchase Agreement. The Company is pleased to announce that all the conditions precedent to the completion of the Disposal have either been satisfied or waived pursuant to the Sale and Purchase Agreement, and following the approval by the Shareholders of the Company at the EGM held on 17 July 2015, completion of the Disposal took place on 2 September 2015. Upon the completion of the Disposal and pursuant to a settlement side letter dated 2 September 2015 entered into between the Seller, the Purchaser, GCC and GCC LP acknowledged by the Purchaser Guarantor and Marubeni Seller, GCC is indirectly held as to 14.69% by the Company and as to 85.31% by the Purchaser Guarantor, and GCC LP is indirectly held as to 14.685% by the Company and as to 85.305% by the Purchaser Guarantor, which reflects the adjustment to the ownership of GCC and GCC LP made in accordance with the parties' respective obligations to make capital contribution under the Amended and Restated Unanimous Shareholders Agreement. Following the completion of the Disposal, GCC and GCC LP have ceased to be the subsidiaries of the Company. Ulaanbaatar, September 2 /MONTSAME/ At the Stock Exchange trades on Wednesday, a total of 127 thousand and 870 units of eight JSCs were traded costing MNT 11 million 626 thousand and 125.00. 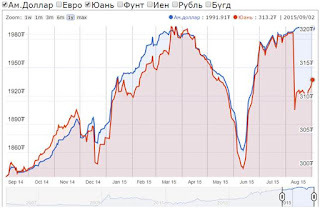 "Merex" /126 thousand units/, "Hermes center" /905 units/, "Genco tour bureau" /514 units/, "APU" /214 units/ and "Makh Impex" /196 units/ were the most actively traded in terms of trading volume, in terms of trading value were "Merex" (MNT nine million and 954 thousand), "APU" (MNT 706 thousand and 770), "Makh impex" (MNT 608 thousand and 840), "Hermes center" (MNT 125 thousand and 795), and "Gobi" (MNT 124 thousand and 600). The total market capitalization was set at MNT one trillion 268 billion 356 million 785 thousand and 235. The Index of Top-20 JSCs was 12,930.92, increasing 0.50% and the all index of MSE was 953.92, increasing 0.28% against the previous day. September 2 (Bloomberg) -- FX reserves rise 1.28% from end-June, according to data posted on Bank of Mongolia website. September 2 (BoM) Auction for 24 weeks maturity Government Treasury bill was announced at face value of 15.0 billion MNT. Face value of 15.0 billion /out of 30.0 billion bid/ Government Treasury bill was sold at discounted price and with weighted average yield of 13.971%. September 2 (Mongolian Economy) The Economic Policy and Competitiveness Research Center released the banking competitiveness review for the second quarter of this year. The total assets of the banking sector, which plays pivotal role in the financial sector, reached MNT 22 trillion over the period, an increase of 5.2 percent from the previous quarter, and 2.1 percent from the same period of the previous year. Loan amounts constitute 53 percent of the sector's total assets, reaching MNT 12 trillion – a three percent decline from the same period of the previous year and a 2.7 percent decline from the previous quarter. Experts expect mortgage loans to increase as the decision to make mortgage down payments 10 percent for people with the government guaranteeing the remainder of the standard 30 percent (government guarantees the remaining 20 percent) was approved on June. In this year's second quarter, the number of people involved in mortgage loans reached 72,000, of which 51,000 are engaged in the soft loan programme. The total value of mortgage loans reached MNT 3.2 trillion, which is a 30.8 percent increase from the same period of the previous year and a 5.8 percent increase from the previous quarter. Of this increase, soft housing loans reached MNT 2.3 trillion and increased by 7.6 percent from the previous quarter. The non-performing loans figure reached five percent this quarter and increased by one percent from the previous quarter. The NPL the ratio was expected to increase compared to last year due to the economic climate. Bank deposits reached MNT 9.6 trillion, an increase of 0.7 percent from the previous year and 0.9 from the previous quarter. Commercial banks' total equity reached MNT 2.5 trillion and increased by 25 percent from the previous year and 4.7 percent from the previous quarter. Experts are saying that the consistent rise in equity is a good sign. According to the survey, 70 percent of the total assets of commercial banks are concentrated in the big three commercial banks – Khaan Bank, Trade and Development Bank and Golomt Bank. Of the three, Trade and Development Bank accounted for 28 percent of the market and led in total assets. Compared to the previous quarter, TDB increased their market share by three percent, while both Khaan Bank's and Khas Bank's market share fell by one percent each. GDP in the first half of this year totalled MNT 10.7 trillion. It can be seen from the survey that economic growth has slowed compared to the 6.5 percent GPD growth in the first half of the previous year. However, the total assets of the banking sector reached MNT 22 trillion in the second quarter of this year. This is a two percent increase compared to the same period of the previous year. The research team noted that the growth of the banking sector has declined since the first quarter of last year, and expects it to stabilise. They expect there will be no high growth further on, in large part due to the slowing economy. Is former deputy PM U.Khurelsukh splitting from MPP? September 2 (news.mn) Like the Democratic Party (DP), the Mongolian People's Party (MPP) has also experienced political disturbances because of the issue regarding the appointment of the ministers. There is a rumor in Government House, that the ex-Deputy Prime Minister, U.Khurelsukh, is preparing a new career by establishing a new party, in the event of disagreement with the heads of the MPP. In the past, Mr Khurelsukh was a strong leader with a large number of followers – this was prior to the defeat of the MPP majority in the 2012 Parliamentary Election. Following this setback, he took a time break from political life, but he returned as Deputy Prime Minister in late 2014, when the DP decided to co-operate with the MPP. It will be recalled that during the recent recall of Parliament from the summer recess, the MPP ministers serving in the Government were all dismissed. U.Khurelsukh, naturally, also lost his job as Deputy Prime Minister. September 2 (gogo.mn) Introduction of Renewed Traffic Rules was one of the hot topics among the city residents throughout summer. The implementation results were visible from the very first day of the rules taken into effect. September 1st was the busy day for the city as the new school year started. Traffic Police has released data related with implementation of the renewed traffic rules taken into effect on September 1st. Compared with the data from the same period of last year the number of accident calls decreased to 241 calls, while a year ago the number was 353. This is the 31.7 percent decline in traffic accident calls. Moreover, the number of registered traffic accidents has decreased by 37 percent, a decline to 78 from 124 on a same day of last year. Number of injuries on September 1st of 2014 was 20, while the number this year was only 8, of which the 3 victims were kids. The cases of driving while intoxicated were 77 last year on September 1st, while the number this year has decreased to 31. Ulaanbaatar, September 2 (MONTSAME) Head of the Citizens' Representative Khural of Ulaanbaatar city D.Battulga Wednesday met a visiting delegation headed by Mr Kanintorn Wongsarojan, the first deputy head of the Council of Bangkok city of Thailand. Noting that the capital cities of the countries established sisterhood ties 16 years ago, Mr Battulga emphasized that delegates of the two cities have been visiting each other since a delegation of the Council of Ulaanbaatar paid a visit to Bangkok on November 29, 1999. Mr Battulga added that he visited Bangkok last April, and established a cooperation memorandum, brining the ties into a new level. Mr Battulga also gave information to the delegation about a function of the Citizens' Representative Khural of Ulaanbaatar. Expressing thanks for a warm audience, Mr Kanintorn Wongsarojan said youths of the two cities have visited each other for getting familiarized with culture and history within the cooperation memorandum, whereas his visit to Ulaanbaatar will contribute to widening the ties between the cities as well as the bilateral relations. During the meeting, the sides agreed to hold a meeting between officials of the health offices at both Cities' Councils by a request of the Thailand's side. The visit of the Bangkok's delegation will continue until September 6. September 2 (gogo.mn) 1.7 hectares of space near the Tasgan Hill in 5th khoroo of Chingeltei District has been transformed into recreational Mini Park area and is ready to be open for public this Friday. Mini Park unites the multiple small hills into ONE and is being furnished with unified irrigation system, pedestrian and lighting. Moreover, the green area has 4,129 trees and bushes of 5 types, pedestrian of 1,073 sq.m. The project itself carried the aim to define the best green area development most suitable for Ulaanbaatar city environment and the implementation process itself tested out the necessity of application of irrigation system and fertilizers. Mini Park will be open on September 4th at 11AM with the religious ritual ceremony to worship Tasgan Hill. September 2 (gogo.mn) Green Home hospital operating in 22nd khoroo of Bayanzurkh district has been prescribing the unlicensed medicine to its patients. According to the Capital City Special Inspection Department the medicine prescribed were not registered in the state medicine registry and were not compliant with the standards in effect in Mongolia. Moreover, the hospital lacked compliance with health and internal procedure standards and encountered 28 violations leading to the fine of MNT 1,920,000 and the Special Inspection Department sent a petition to the Ministry of Health and Sports to terminate special license of the entity. Violations aside from unlicensed are use of commercial space not intended for health care services, lack of automated air circulation system, lack of proper lighting, sanitation, kitchen, pharmacy and reception area. The hospital acquired the operation licenses under the Green Home Community NGO in order to conduct humanitarian and religious activities and the main activity was to conduct hospice care. The hospital has been established in 2005 and is serving around 50 patients annually through their capacity of 13 beds. The hospital has been importing medicine with violations of packaging and labeling, expiration dates under the name of donations. The inspection resulted in confiscating of 24,565 pieces of 28 types of medicine. Out of total 10 hospitals specializing in hospice care 3 are with investments from Korea. With the recent incident the Capital City Special Inspection Department is to conduct inspection activities in hospitals with same operations and activities. September 2 (infomongolia.com) Today on September 2, the President of Mongolia has headed to Beijing, the People's Republic of China, to attend the celebration events of the 70th Anniversary of Victory in War of Liberation on September 2-3, 2015. During his visit, President Ts.Elbegdorj will have bilateral meetings with the President of the People's Republic of China Xi Jinping and the Chairman of Standing Committee of the National People's Congress Zhang Dejiang, and heads of state of the participating countries. September 2 (news.mn) The ceremonial presentation of the historical album "Mongolia in World War II-1945" took place in the "Civil Hall" of the Mongolian Presidential Administration. During the opening ceremony, Mr P.Tsagaan, Chief of the Presidential Administration said: "The purpose of inviting you today is to introduce a photo album, which shows Mongolia's historical contribution to the Victory of "World War II". Mongolia, which at the time, had a population of less than a million, crossed the state border in accordance with its alliance commitments, to liberate its brothers in Manchuria and Inner Mongolia. The Institute of History and Archeology at the Academy of Sciences has been responsible for organizing this project of these collected photos, celebrating the 70th anniversary of the Victory of World War II. The Presidential Administration has cooperated and supported this project. This album includes photos and documents, which have never before appeared in public. The Mongolian President has worked for the real Mongolian history. You will remember that the President has published a series of seven books entitled "A Real History of Mongolia". I am sure that the historical album "Mongolia in World War II-1945" will become the interesting and beneficial research document". First of all, I like to express my gratitude to the IPU for organizing this Conference. The significance of this Conference is that it is taking a place at the historic period of humanities redefining and reconfirming the post 2015 development goals in where our active participation and contributions are greatly needed. By emphasizing to ensure the implementations of the MDGs, Mongolia has achieved some progress and the State Great Hural the Parliament of Mongolia has ratified the additional 9th goal for the national level on strengthening the democracy, human rights and good governance. The consistent fulfillment of progress and prosperities and sustainable development of every country is the priority of the international communities. To ensure the implementations and deliverance of the post 2015 development goals, the national parliaments must undertake measures to introduce necessary amendments to the existing legislations while strengthening its over-sighting functions over the executive branch of government and to adopt budget and finance that is required for realization of sustainable development plans into actions. The State Great Hural, the parliament of Mongolia will emphasize on the above mentioned tasks. The half of the Mongolian population is women and about 90 years ago their rights have been proclaimed in the country's first Constitution as they are equal to those of the men. Mongolia has always paid a special attention to ensure gender equality and has been ratifying policy documents aimed to increase the percentages and roles of women in the decision making level. Mongolia is committed to contribute to the efforts rendered by the international communities to strengthen democracy and good governance. Over the recent years, Mongolia has chaired the Community of Democracies and Freedom on-line coalition and has successfully hosted their regular conferences in 2013 and 2015 at the Ulaanbaatar, where we have shared our 25 years of experiences of democracy. In a short span of time, Mongolia has ensured the universal suffrage and now walking along with those countries that have years' of history and traditions of election democracies and it has celebrated the 25th anniversary of the country's first democratic election. For the first time in Asia, moreover, Mongolia is hosting the OSCE Parliamentary Assembly's Autumn meeting in Ulaanbaatar between the 15th-19th of this month. Taking this opportunity, I like to extend the invitation to Your Excellencies and Honorable ladies and gentlemen from OSCE members, to come to our sunny Mongolia and to attend the above mentioned meeting. Mongolia is a country that cherishes its own ancient traditions as well as the modern rule of law, democracy, freedom and human rights. Soon, during the upcoming Fall session, our Parliament is planning to undertake a progressive legislative reform in our sanitation and waste management sector. We are committed to fulfill our unfinished business of MDGs, and step toward the SDGs by launching this long-due reform. September 2 (parliament.mn) On September 1, 2015, during his participation at the IV World Conference of Speakers of Parliament being organized at United Nations Headquarters in New York City, the Chairman of the State Great Hural (Parliament) Mr. Zandaakhuu ENKHBOLD held a meeting with Mr. Jan Hamacek, Chairman of the Chamber of Deputies of the Parliament of the Czech Republic. At the beginning of meeting, Chairman Jan Hamacek mentioned his recent official visit to our country and said Mongolia left a pleasant memories. He also affirmed that the Czech Parliament will be participating at the 2015 Autumn Meeting of the OSCE Parliamentary Assembly as well as the 2016 ASEM Summit of Heads of State and Government to be organized in Ulaanbaatar, Mongolia. In addition, Chairman of the Chamber of Deputies of the Parliament of the Czech Republic, Jan Hamacek expressed his interests to further expand ties and partnership in economic and other sectors between the two countries with traditionally maintained good and friendly relations. Moreover, he noted that the development of bilateral relations is important to promote people-to-people relations. The Czech government had been paying a particular attention in educational sphere, especially in student exchanges and thus, the government will be collaborating to allocate scholarships for Mongolian students, emphasizes the Chairman J.Hamacek. During the meeting, Chairman of the Parliament of Mongolia, Z.Enkhbold expressed his satisfaction on growing bilateral cooperation in many fields such as political, defense, economy, agriculture, health, infrastructure and environmental sector. Speaker Z.Enkhbold added that the Joint Intergovernmental Commission meeting is a key mechanism of bilateral dialogue, which has been successfully organized since 2005, and the next VI Mongolia-Czech Joint Intergovernmental Commission meeting is scheduled to take place in Ulaanbaatar on September 21-23, 2015. Furthermore, he mentioned that the two countries established a diplomatic relations on January 1, 1993. September 2 (parliament.mn) On September 1, 2015, during his participation at the IV World Conference of Speakers of Parliament being organized at United Nations Headquarters in New York City, the Chairman of the State Great Hural (Parliament) Mr. Zandaakhuu ENKHBOLD held a meeting with Mr. Nguyen Sinh Hung, Chairman of the National Assembly of the Socialist Republic of Viet Nam (Vietnam). At the beginning of meeting, Speaker of the Parliament of Vietnam, Nguyen Sinh Hung said he was glad to have an opportunity of meeting his counterpart from Mongolia during the participation in the IV World Conference of Speakers of Parliament. He further noted, "Vietnam and Mongolia have a history of long lasting traditional and friendly relations. In recent years, bilateral cooperation in economical and other areas have been expanding apparently. Our two countries have also a huge opportunity and resources to cooperate in agriculture, trade and mining fields and therefore, it is important to intensify collaboration in these sectors. Nevertheless, we glad that Mongolia will be hosting the 2016 ASEM Summit of Heads of State and Government in its capital city of Ulaanbaatar. Also, Mongolia promoted its candidacy for a UN Security Council non-permanent member in the 2022 elections and in this regard, we would like to acknowledge that Vietnam is ready to support Mongolia's nomination. Moreover, we would like invite you, Mr. Z.Enkhbold, to pay an official visit to the Socialist Republic of Viet Nam in the near future. Vietnam and Mongolia have traditionally good and friendly relations, and thus, we are willing to build mutual trust in the political arena. Besides, to activate inter-parliamentary relations and exchange experiences between the State Great Hural and the National Assembly of Vietnam". In turn, Chairman of the Parliament of Mongolia, Z.Enkhbold said, "Mongolia has traditional and friendly relations with Vietnam and last year, our two countries have celebrated its 60th anniversary of the establishment of diplomatic relations. In recent years, bilateral relations between the two states have been broadening and the high-level reciprocal visits have been also enduring. Furthermore, Vietnam had successfully hosted the 5th ASEM Summit back in 2004 and your experience is essential to us. Moreover, Mongolia is interested in activating political dialogue on all levels with a Southeast Asian traditional partner - Vietnam and to strengthen bilateral partnership on the regional and international arenas. September 2 (parliament.mn) Members of the State Great Hural (Parliament) Mr. Sundui BATBOLD and Mrs. Tsedevdamba OYUNGEREL have attended and exchanged views with other parliamentarians in the Panel discussions themed "Parliamentary oversight: Challenges and opportunities" and "Translating the SDGs into action", which were organized during the IV World Conference of Speakers of Parliament on September 1, 2015. In the frameworks of the first mentioned Panel discussion, the Parliamentary oversight gives people a voice in the management of public affairs. It is a unique role and responsibility for parliament within the democratic system of governance. It is a central mechanism for ensuring the balance of powers between the executive, legislative and judicial branches of government. Parliamentary oversight of States' international obligations provides the link between decision-making at international and national levels, in areas as diverse as human rights, climate change and trade. But the impact of parliamentary oversight is often difficult to identify, and is periodically called into question. - To what extent does parliament exercise its oversight powers in practice? What are the challenges and opportunities for parliament to strengthen its oversight role today? - How responsive is the government to parliamentary oversight and how could government responsiveness be increased? - To what extent does the Speaker have a responsibility to defend, or increase, parliament's power to hold government to account? - What are the motivations for individual parliamentarians to carry out oversight? What value does the public place on parliament's oversight activities? - How does parliament cooperate, or compete, with other institutions of oversight? As of the second Panel discussion, it was conducted in interview style, without official statements. After an exchange of questions and reflections between the moderator and panelists, participants have contributed their own thoughts and pose questions for further discussion. - How can MPs work together on pro-SDGs policies and across party lines? - How can parliaments institutionalize the SDGs (duly translated into national goals and targets) so that the goals inform all acts of parliament over the next 15 years? - What are the advantages and disadvantages of creating a dedicated parliamentary body (i.e., committee, caucus, or advisory group) to coordinate work on the SDGs? - How can parliaments help secure the required resources (financial and non-financial) for the SDGs? - Can national accountability processes support monitoring of the SDGs at the global level? Are parliaments equipped to be involved in global monitoring? New Delhi, Sept 2 (IBNS) Envoys of five nations presented their credentials to President Pranab Mukherjee, here on Wednesday. Martin Ney, Ambassador of Germany, Jagdishwar Goburdhun, High Commissioner of the Republic of Mauritius, Tovar da Silva Nunes, Ambassador of Brazil, Niankoro Yeah Smake, Ambassador of Republic of Mali and Gonchig Ganbold, Ambassador of Mongolia, attended the event. September 1 (NKNews.org) Shamanism has been spreading in North Korea since the early 2000s despite the prohibition on religious activities, a shaman who defected last year said. "North Koreans widely believe in shamanism. Before marriage they check their marital compatibility, when moving houses they check the site of their future home, and before they leave for business people used to ask me whether the journey would be comfortable or not," she said. "Since that point, people lost their sincere trust in the party and nation. People still need a mental foundation." She added that survivors who overcame hardships started to have a "crooked head," meaning they no longer believed in the regime's ability to feed them. "The parents struggled to provide corn, rice and oil to the shaman for three months. But there was no improvement, the shaman actually was scamming the family." "When it is known that the person is a shaman, the person is to be jailed or executed. I used to help really close people, or conduct (the rituals) in a remote mountain," Kang said. "The North Korean government punishes superstitious activity. North Korean criminal law, updated in 2012 reads that 'A person who conducts a superstitious ritual for money or goods faces no more than one year of labor. When the activity is serious, they may receive no more than three years of labor.' The law on superstitions was lessened in 2012, removing the crime of encouraging superstitious activity." The legal prohibition, however, doesn't seem fully enforced, as middle-ranking officials also check their fortune with shamans. "They are curious as well, finding it difficult not to believe (in the rituals)." The White Paper echoes the same point, based on other defectors' testimonies. "Without social agitation or problems, it is known that superstition activities are not punished due to bribery," the report reads. "Somebody who is poor, they used to pay only one sack of candy," she said. September 2 (gogo.mn) Cabinet resolution dated March 9th stated that Mongolia to shift to daylight saving time starting March 28th. Summer daylight saving time shift started on March 28th and is to end on September 26th by shifting to winter time. According to G.Batzaya, Specialist at the Standardization and Measurement Department, on the night shifting from September 25th to September 26th at 12AM residents are to turn their clocks backwards 1 hour to 11PM. Michelle Borok: "Darkhan is a lovely place to be"
(Expat Blog) Michelle comes from Los Angeles. She settled in Darkhan with her Mongolian husband three years ago following several trips. She enjoys spending time with her daughter and visiting their family in the countryside. Why did you choose to expatriate to Mongolia ? I moved here from Los Angeles because I fell in love with Mongolia on a vacation in 2010, and then I returned in 2011 and fell in love with a Mongolian man. We got married in 2012. So far, both Mongolia and my husband have made me very happy with my decision. What were the procedures to follow for a US national to move there? I first entered the country on a tourist visa, then applied for residency with a spousal visa. U.S. citizens are allowed for 90 days in the country without a visa, which allows for time to make other visa arrangements with employers. I've been here for three years now. My husband and I have a daughter. His family is a really large one, so we have a huge extended family with all of his cousins, and the family is very close. They accepted me right away and have become a big part of my life here. What has attracted you to Darkhan? I originally thought we'd be settling in Ulaanbaatar, but we had an apartment in Darkhan while I got settled in. I loved it right away. It has nearly all of the conveniences of UB, minus the traffic, air pollution and overcrowding. Living expenses and services are also lower here. Unfortunately, so are salaries, but if you aren't coming to Mongolia to strike it rich, Darkhan is a lovely place to be. It is Mongolia's third largest city, surrounded by beautiful hills and steppe. It's still a very rural place. Cows and horses walk the streets as they find their way back home in the afternoon. The pace here is slow and steady and it's hard to go anywhere without seeing a familiar face. Are you currently working? What are the local labor market's features? I was able to find an English teaching job in a private school less than a week after I moved here. I've been steadily employed ever since, but I'm no longer teaching. I came prepared with a TEFL certification that I got online. Not all schools here require certification, a college degree, or prior teaching experience for English language instruction, but they probably should, and the better schools do. I am now working as the editor of the country's first independent English language newspaper, editor for the English language version of an online newspaper, as a freelance editor for a number of clients in UB, and as a freelance writer. I came to Mongolia with prior experience in publishing and work as a writer, but I didn't actually anticipate taking it up here. It's been fantastic. There are a million opportunities here for people with all kinds of skills and backgrounds to find employment or start their own businesses. The challenge can be the language barrier and connecting with reliable companies, partners, and clients. Mongolia is also experiencing an economic downturn right now and there's a high unemployment rate. Competition is tight in a lot of fields. Was it difficult to find accommodation there? What are the types of accommodation which are available? Most typical is apartments, but developers are also building townhouses and single-family residences. There are lots of online resources for finding available housing in a pretty wide range of sizes and prices. Rental agreements can vary from month to month or by year. How do you find the Mongolian lifestyle? Generally speaking, it's laid back, open and warm. The hardest thing to adjust to is the sense and importance of time. Mongolians are more concerned about getting a thing done than getting it done on time. Friends and family are rarely ever "on time" but things still happen. In business, it can be a challenge to get quick and thorough responses. Priorities are managed differently. I've become a lot more "Mongolian" in my priorities, which has been much more emotionally healthy than my LA way of life. I spend a lot less time worrying about making every minute count and more about making every moment count. Have you been able to adapt yourself to the country and to its society? I think it's been much easier for me being married to a Mongolian. There are still things that catch me off guard, but I've become accustomed to cultural norms. The wealth gap is hard to ignore here, but in Darkhan it's not quite as bad as in UB. It's easy to ignore it if you live in an expat bubble in UB. It's easy to get involved in efforts by NGOs to bring much needed services to communities that have been left behind in the country's economic development. What does your everyday life look like in Darkhan? Mostly uneventful day to day things, like taking my daughter to daycare, going shopping in the markets, enjoying the public parks, having family members over for dinner, and frequent visits to our family in the countryside throughout the year at their winter, summer and spring camps. Our extended family raises sheep, goats, cows and horses. We finished building our own house last year, which was quite an experience, but happily settled into it now and working on plans for a small greenhouse. What has surprised you the most at your arrival? For me, it was the warm welcome by my in-laws. Staying connected to family is really important in Mongolian culture, and I think that the distance I put between me and my family made my in-laws even more eager to welcome me into theirs. When they met my parents, they assured them that they would care for me like their daughter/sister and they truly have. Any particular experience you would like to share with us? My most challenging experiences here have been at the public hospital. I experienced two pregnancies here - one very good one and one very tragic - both at the same maternity hospital. I'm not sure that the outcome of my second pregnancy would have been different in the States, but I would have been better informed and been able to communicate with my doctors more effectively. If you are ever in a position requiring serious medical attention, I would recommend going to one of the private hospitals in UB that has English speaking doctors and partnerships with overseas hospitals. There are many services available here, but not through the public healthcare system. What is your opinion on the cost of living in Darkhan? The cost of living is very low here. You can rent a two-bedroom apartment for 300,000 MNT a month, a month's worth of groceries for our family is less than 400,000 MNT, and other essentials come cheap. The issue is salary. It's hard to get the "foreigner's" salary you can get in UB. An average salary for a family that isn't struggling is 600,000 MNT to 800,000 MNT a month. Is it easy for an expat to live there? If you keep life simple, that works out just fine, but if you want extra pocket money, it becomes a stretch. I'm lucky to have opportunities to do work from home, but it does keep me from getting out and about more in the community. I sometimes miss the connections I had while teaching, but I met a lot of people from my work at several schools and language training centers and built some great relationships which have continued. It's always fun to see my students around town as well. Our favorite thing to do is visit our family in the countryside. It always means a little bit of work too though, helping out. In summer, there are lots of outdoor events and evenings in the park. We love to travel around the country when we can, our favorite trip being up North to Lake Khuvsgul. We also head in to UB a few times a month to get together with mostly expat friends. My favorite Mongolian dish is tsuivan. It's hand-cut wheat noodles with meat, potatoes, carrots, but you can add other veggies. Second favorite is khuushuur, a deep fried pocket of meat. What are the differences between life in the US and in Mongolia? There are too many to name, but the most notable difference is priorities. I spend less time worrying about things that can be draining and more time enjoying the little things that make life rich. Do you miss your home country? I mostly miss my family and friends. There are conveniences that I look back on as being taken for granted, but learning ways around them - becoming more resourceful - has been one of the pleasures of living here. Would like to give any advice to soon-to-be expatriates? Put all expectations aside and be open to new ways of problem solving. It will make life here a lot easier. We are planning to save more for travels. I plan to do more writing in 2015, and to get our garden going so we can have a better variety of vegetables on hand. Nothing glamorous. Next summer, we plan to do a trip to the Gobi since I've never seen that part of the country, and the following year we'll head west to Bayan Ulgii to try to catch a glimpse of eagle hunters. August 30 (Johnson City Press) When East Tennessee State University senior Handaa Enkh-Amgalan worked at the United Way headquarters in Washington, D.C., over the summer, she realized ETSU could benefit from a student-led United Way chapter. "United Way is concentrated basically on income, education and health," Enkh-Amgalan said. "Through these channels they organize different campaigns." Tennessee only has one student-led United Way chapter in the state — at Middle Tennessee State University. Enkh-Amgalan said her organization would be primarily focused on benefitting the community through a variety of projects — specifically anything related to promoting income, education and health. These projects could include anything from operating coat drives, providing access to education and assisting veterans without housing. "Most volunteer organizations at ETSU are concentrated on ETSU," Enkh-Amgalan said. "But most ETSU students are from this area — Johnson City, Kingsport, Bristol — so this organization would be more community-focused." Currently, Enkh-Amgalan's organization is still in the planning stage, but she's beginning to develop connections with campus officials, hoping to attract mentors and fulfill university-mandated requirements for student organizations. Enkh-Amgalan talked with faculty in the ETSU Honors College who were interested in developing the program as a partnership between the program and the Honors College Student Council, a student-led organization that represents members of the honors college. Enkh-Amgalan said there are ETSU students who volunteer for the Washington County United Way chapter, but there isn't an official branch organized to connect the chapter with students at ETSU. The creation of an ETSU Student United Way chapter would bridge this gap, enabling the county program to connect more readily with ETSU students. "I already talked with the president and CEO of United Way of Washington County and Johnson City and he said he would set up a meeting with me ... to talk about how they can help us make it happen," Enkh-Amgalan said. She anticipates ETSU's Student United Way program will begin operations in October and will organize at least one event per month. But before they can begin operations, her organization must first receive confirmation from both ETSU Student Activities and United Way Worldwide. Enkh-Amgalan said she also hopes her organization can network with other university volunteer organizations. Originally from Mongolia, Enkh-Amgalan came to the U.S. and initially studied at American University in Bulgaria before moving to ETSU and enrolling in the Midway Honors Scholars program, a scholarship program reserved for transfer students. "Handaa is an enthusiastic, committed Midway Honors Scholar," said ETSU University and Midway Scholars Director Joy Wachs. "She was challenged this summer during her Washington Center Internship to initiate a United Way chapter on campus and now is ready to engage the ETSU student body in that project." After receiving her degree from a graduate program and acquiring some experience in the U.S., Enkh-Amgalan plans to return to Mongolia to apply some of her knowledge in her home country. But for now, she's invested in getting her organization off the ground. "My vision is to organize a student-led organization that has a focus on financial stability, education and health and also to engage with other students and create a positive learning community for ETSU students," Enkh-Amgalan said. Anyone interested in participating in the program can contact Enkh-Amgalan at enkhamgalan@goldmail.etsu.edu. August 29 (NYU Steinhardt Jazz Studies) In 2014, the New York City based jazz group Combo Nuvo, traveled to Ulan Batar, Mongolia to perform along with the Morin Kuuhar Ensemble, comprised of musicians from the Mongolian National Symphony. Their mission was to blend American jazz with traditional Mongolian music, and in the process, celebrate their cultural differences translated through the universal language of music. Combo Nuvo is the NYU Steinhardt Jazz Faculty Ensemble in Residence. September 2 (infomongolia.com) The 19th Taekwondo ITF World Championship 2015 was held in Plovdiv, Bulgaria on August 24-30, 2015 and Mongolian team captured 5 medals. Thus Mongolia ranked fourth place out of 81 participating countries by 2 gold and 3 silver medals. September 2 (GoGo Mongolia) D.Zagdsuren, President of Mongolian National Olympic Committee (MNOC) and Tsunekazu Takeda, President of Japan National Olympic Committee have signed the cooperation agreement in Tokyo. The ceremony was attended by Sumo Grand Champion Hakuho Davaajargal, Ambassador of Tokyo 2020 Olympic Games and deleates from Mongolian Sports organizations and associations such as J.Otgontsagaan, Executive Secretary of MNOC, N.Zulbaatar, Executive Secretary of Mongolian Badminton Association, B.Tuguldur, translator and G.Bat-Erdene, Representative of MNOC. According to the cooperation agreement the Olympic Committees of both countries are to implement several joint trainings and exchange programs in view of upcoming Tokyo Summer Olympic Games 2020. September 2 (gogo.mn) Yak herders and yak wool processing companies gathered to celebrate the end of a successful season harvesting season yak wool at the Shore of White Lake in Terkh, Tariat soum, Arkhangai aimag on 18 July, 2015. "The yak festival is very important to develop Yak culture and tourism to bring as more people to the region" said Mr. Altan-Ochir.G, governor of Tariat soum of Arkhangai aimag. Arkhangai aimag is a home to 150,000 yaks, which represents 20 percent of its total livestock population. Herders annually supply more than 20 tonnes of premium-quality yak wool to domestic processing companies. This year, the Arkhangai Aimag Federation of Pasture-User Groups of Herders - with support from the Arkhangai aimag government, the Tariat soum government and SDC's Green Gold Project - organised the "Mongol Yak" Festival. The festival, attended by hundreds of local herders and 3000 visitors, was aimed at raising awareness among herder families about the importance of improving the quality of primary raw materials, wool, dairy products, hides/skins and meat, facilitating better collaboration between yak herders, cooperatives and domestic processing companies for sustainable value-chain development, and promoting local community-based tourism development. Arkhangai herders are among those pioneers within the sector who have adopted new methods of combing through to the shearing of yak wool, which has significantly improved both the level of output and quality of the down delivered to processing companies. Living in the Khangai mountain ranges of Mongolia, yaks are highly resilient and well adapted to the region's harsh environmental conditions. Products made from yak down and hair is renowned for their ability to retain warmth. Yak down is as soft as goat cashmere, with the additional benefits of being both durable and comfortable to wear. The unique colours of yak down - platinum, black and brown - make it an attractive material for modern clothing. Yaks also produce a number of other high-quality and valuable products. Yak milk cream is known for its taste and nutritional value, and yarn and households goods made of yak wool and hair are known for their high quality. Competitions held at the "Mongol Yak" Festival among herders for educational purposes included "The Best Yak Bull", "The Herder Family with the Best Yak Herd", "The Herder Family that Prepared the Highest Amount of Combed Yak Down", "The Herder Family that Prepared the Best-Quality Yak Dairy Products", "The Best-Decorated Yak", and "The Best Handcrafted Products Made of Yak Raw Materials". Competition awards were sponsored by domestic processing companies: Bayalag Ulzii, Sor Cashmere, Uujin, Mongol Textile, Altai Cashmere, Jinst Murun and Tengri. Processing companies also organised a "Fashion Show" of products made from yak down for herders featuring the latest fashions and designs. During the festival, processing companies sold products worth MNT 7.2 million. Herder families who took part in the festival sold dairy products to visitors, earning MNT 10.1 million in income. Two local tour operators working in the region also supported the festival, sponsoring cultural performances and arranging for tourists to visit the event. The festival, which concluded with a midnight fireworks display, was indeed a celebration of local community, networking and collaboration to ensure a better future for the region. (Discover Bayan-Olgii) The Golden Eagle Festival has been the largest gathering of eagle hunters and their eagles in the world since it started in 1999 with 70 eagle hunters participating in this event. It is recognized as a UNESCO World Heritage Cultural Event. The festival starts with display of eagles and hunters, and then goes into the events of eagles displaying their talents. The first event is the eagle catching fox skin dragged behind a horse, returning to their owner from a distance on command, as well as a camel race and Kazakh games of Tiyn Teru (a race to pick up a coin on the ground while on horseback), Kyz Kuar ("girl chase," a man and woman race on horseback while the woman whips the man), and Kokpar (tug of war over a goat carcass while on horseback). On the evening of the first night is a concert of traditional Kazakh music at the theatre included in the price of a ticket. Prizes are given to the winner of each event plus prizes for best dressed man, woman, and child. The finale is a live hunt of a fox or cub wolf by the winning eagle. The event is run by the Berkut Association, a local community organization for eagle hunters, and is sponsored by Nomadic Expeditions. Traditional Kazakh craft work and food is available at the event. Options to get to the event are a shuttle bus from Ulgii by Kazakh Tours (5,000 MNT) or taxi (10,000 MNT). September 2 (Daily Mail) A photographer has captured a stunning set of images displaying the 4,000-year-old art of eagle hunting. The images were taken by Tariq Zaidi, who travelled to the desolate Altai Mountains, which run from Siberia to Mongolia's Gobi Desert. Only around 70 Kyrgyz and Kazakh eagle hunters remain in the world. The ancient tradition can be traced back more than four millennia in Central Asia, but is beginning to die out today. The eagles hunt mostly foxes and other small animals, although they are capable of killing young wolves. Tariq left his corporate job in 2014 and decided to travel the world to photograph some of the most remote cultures. He said: 'Disbelief and amazement are just two words I would use to describe the Kazakh eagle hunters. 'For Kazakhs living in Western Mongolia, hunting with eagles is a proud art and one of the highest expressions of their cultural heritage. 'It has to be one of the most fascinating and primal connections between man and animal. Training the eagles begins when they are just chicks and continues every day for three to four years. Each eagle can only have one handler - their master - who can never fully control the bird: they can only nurture a bond between man and animal, teaching it how to hunt more efficiently. The hunters could, if they wish, hunt with rifles - but they opt to use eagles instead, as it is seen as the highest form of art and dedication. For some, their whole worlds revolve around eagle hunting - riding out in bitter winds and harsh conditions to help ensure the bird captures its prey. In 2010, an area in Western Mongolia where eagle hunting is still prevalent was listed as a UNESCO site of intangible cultural heritage, helping to protect the eagle hunters. Tariq added: 'Eagle hunting engulfs their lives fully and is what makes their hearts beat. 'With eagles having a life expectancy of up to forty years, they essentially become a member of the family. 'It is said that if an eagle hunter has died, you will still find him hunting in the mountains, and not at the funeral, as nothing keeps an eagle hunter at home. September 2 (CAPA - Centre for Aviation) Kazakhstan's Air Astana is continuing to grow capacity despite weakening demand in its home market. The flag carrier has been increasing its reliance on lower yielding sixth freedom traffic as the devaluation of the Kazakh tenge has impacted outbound demand but cost reductions have enabled it to remain profitable. Sixth freedom or transit traffic now accounts for about 15% of Air Astana's revenues and about 30% of its international passenger traffic. Air Astana CEO Peter Foster expects the transit portion will continue to grow as the airline expands, particularly in the short to medium term given the weaker tenge. The capacity Air Astana is planning to add in 2016 is mainly targeted at new sixth freedom markets. Mr Foster said Tehran in Iran and Ulan Bator in Mongolia are now the only new destinations in Air Astana's business plan for 2016. Air Astana plans to launch both new destinations in spring 2016 with three weekly flights. Tehran will be served with Embraer E190s from Almaty, Kazakhstan's largest city and commercial centre, while Ulan Bator will be served with A320s from the capital Astana. Air Astana has developed hubs at both airports but as Astana now handles most European flights it is the more logical hub for the Ulan Bator service. Air Astana has always viewed Iran as a tremendous opportunity should the market open up given Kazakhstan's geographic position between Iran and Asia. As Iran opened in recent months, it quickly emerged as a high priority for Air Astana. Serving Tehran from Almaty is sensible as Air Astana has more capacity to China from Almaty than Astana. Stylist and creative consultant Rachael Wang's horseback riding trip showcases the wilds of Mongolia. August 31 (Afar) Mongolia's annual Naadam Festival is a centuries-old tradition. "The three manly sports" that Genghis Khan considered essential for any Mongol warrior—wrestling, archery, and horse racing—are showcased at the country's largest celebration. Yet, Naadam is not as it once was. The modern spectacle feels increasingly like a performance for tourists and foreign dignitaries. Today many locals retreat to the country's vast rural plains to watch the events on television with their families, while thousands of international tourists flock to Mongolia for the 3-day festival each July. And while many come to experience its unique cultural showcase, some argue that the sports themselves—the historic crux of the events—have become secondary to the performances. More and more, bigger efforts are put towards the grand opening ceremonies and creating a carnival-like atmosphere. Travelers keen to experience a truly authentic Naadam Festival will not be disappointed, however. They simply need to know where to look. In the weeks leading up to the headline event in the country's capital, Ulaanbaatar, several of the smaller surrounding provinces host what locals refer to as "Mini Naadam." In the absence of bright stadium lights, admission prices and national media coverage, these grassroots events truly capture the Mongol spirit. They are hard to find, but impossible to forget. Often tucked between towering mountains and rolling expanses of green hillsides, they can easily missed. But when you find one—well, you'll know. Photos from Intrepid Travel's Wild Mongolia trip. August 31 (The Telegraph) Maybe Mark Twain captured it best. In his far-foraging travelogue The Innocents Abroad, published in 1869, Samuel Clemens (Twain's real name) cast his gaze across the hard landscape of what is now Israel and appraised the scene with bleak fascination. "These unpeopled deserts, these rusty mounds of barrenness... never, never do shake the glare from their harsh outlines, and fade and faint into vague perspective," he mused, describing the shore of the Sea of Galilee. "This cloudless, blistering sky," he continued. "This solemn, sailless lake – reposing within its rim of yellow hills and low, steep banks." Twain did not find any supple beauty amid the scattered stones of the Middle East, but he was moved to a cascade of adjectives. The desert tends to have that effect, whether you are the greatest American writer of the 19th century, or a 21st-century tourist. No physical environment conveys a sense of drama quite like a broad expanse of sun-scorched sand and parched hostility. And a journey into the desert is always more than a mere holiday excursion. It is a challenge – and perhaps a silent sermon on the fragility of our existence, delivered by a dirt-filled geographical realm where man has to fight to survive. Not that it is difficult to travel into the planet's deserts. These arid places are easy to locate. They account for one third of the Earth's land mass, especially if you include Antarctica, which, as a continent all but bereft of rainfall, should be bracketed with the Sahara and the Mojave. What's more, with careful planning and a proper itinerary, their visual delights and unflinching conditions can be enjoyed with a degree of comfort. From the bright lights of Las Vegas to the blank canvas of Mongolia and the outer limits of the polar regions, the desert is ripe for adventure and itinerant excitement – as the 10 following sandscapes capably demonstrate. The Far East's desert beast stretches its half a million square miles across northern China and up into Mongolia. A place of bare rock more than powdery sand, the Gobi revels in extremes, capable of brutal heat but also, thanks to elevated regions that can rise to 5,000ft (1,520m), icy blasts – it often sees snow. It has long been an enclave for adventurers – the Silk Road had to pass east through it. Getting there: it can be experienced via the "Mongolia and the Naadam Festival" trip run by Wendy Wu Tours (0800 988 8209; wendywutours.co.uk). Next scheduled for June 2016, this 23-day group odyssey will take in the Mongolian capital Ulaanbaatar and the annual Naadam horseback games, while ticking off the sparse drama of the desert's Gobi Gurvansaikhan National Park. From £4,990 per person, fully inclusive.